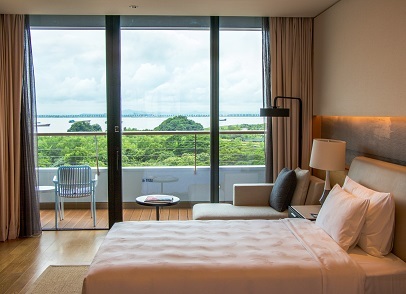 Located in the heart of the Guangdong-Hong Kong-Macao Greater Bay Area, the hotel is a green and serene oasis, combining green and environmentally conscious aesthetics with the finest facilities and services. Managed by LN Hospitality, LN Garden Hotel, Nansha gracefully expresses the DNA of LN Garden Hotels & Resorts. Guests can experience a natural ecological lifestyle surrounded by a beautiful forest landscape and marine art. LN Garden Hotel boasts 365 guest rooms and suites, Chinese and western style dining venues, conference rooms, multi-functional Grand Ballroom, indoor and outdoor swimming pools. Surrounded by the natural habitats of the Nansha Port area, it is the ideal coastal destination for a relaxing getaway. 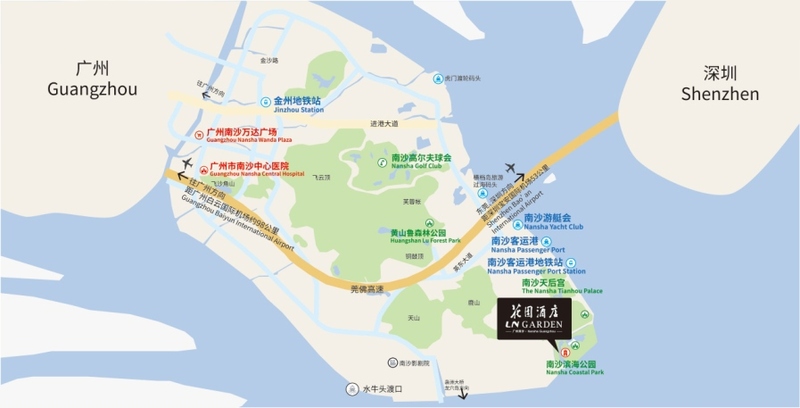 The hotel is just 15 minutes from Nansha’s financial district, 60 minutes from Guangzhou city centre and Shenzhen Bao’an International Airport, and only 10 minutes from the ferry terminal, which connects to Hong Kong in just 75 minutes. The hotel offers easy access to a variety of local tourist spots, including the Nansha Marina Club, international-standard 36-hole Nansha Golf Club, Nansha Tianhou Palace, Sunflower Garden and Nansha Wetland. All guest rooms and suites offer luxurious furnishings and amenities including Wi-Fi, a 55-inch LED television, floor-to-ceiling windows, and a private balcony. The heated indoor swimming pool combines both indoor and outdoor swimming for an experience that truly celebrates the beauty of nature—a unique opportunity to swim directly from indoors to outdoors—while a second outdoor pool features a spectacular infinity edge that appears to merge with the lake. There are full gym facilities available for guests to use. Prepare your senses for an authentic culinary and creative dining experience in the 6 international dining venues.